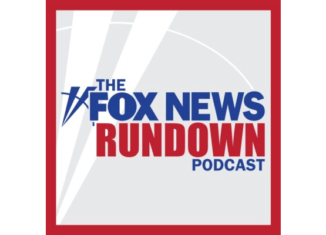 The FOX News Rundown is a news-based weekday morning podcast. 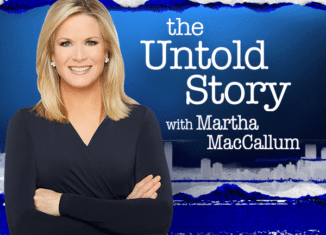 Each morning, co-hosts Dave Anthony, Lisa Brady, Jessica Rosenthal and Chris Foster take a deep dive into the major and controversial stories of the day, tapping into the massive reporting resources of FOX News to provide a full picture of the news. 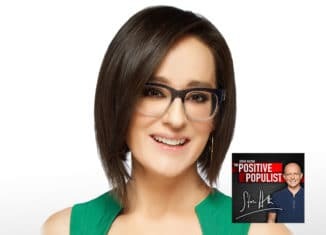 You'll hear a contrast of perspectives you may not hear elsewhere while going far beyond the basic headlines. 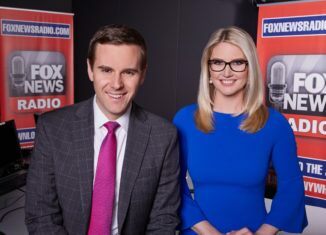 Each weekday The FOX News Rundown features insight from top newsmakers, along with FOX News reporters and contributors, plus a daily commentary on a significant issue of the day. Check us out each morning. The Justice Department released the long awaited, redacted version of Special Counsel Robert Mueller’s report. Plus, commentary by Judge Andrew Napolitano. Andrew Yang, entrepreneur and Democrat presidential candidate, explains his platforms why he stands apart from the others in the field. Plus, commentary by Dr. Marc Siegel. As the battle over border security rages on, one company is presenting their plans for the border wall between the United States and Mexico. Plus, commentary by Howard Kurtz. U.S. Attorney General William Barr is expected hand over a redacted version of the Mueller Report to Congress this week. Plus, commentary by Leslie Marshall. Attorney General Bill Barr testified before a House subcommittee about his review of Special Counsel Robert Mueller’s Russia Investigation. Plus, commentary by Chris Scalia. Secretary Kirtsjen Nielsen abruptly submitted her resignation as the head of the Department of Homeland Security. Plus, commentary by Van Hipp. Chairman of the House Ways and Means Committee, Congressman Richard Neal, is using a little known IRS code to request the release of President Donald Trump’s tax returns. Plus, commentary by Dr. Marc Siegel. Former Starbucks CEO Howard Schultz discusses looking past the critics as he explores a run for the White House. Plus, commentary by Judge Andrew Napolitnao. Former CEO and Chairman of Starbucks, Howard Schultz, has been making headlines while he explores a run for the White House as an Independent. Plus, commentary by Mark Penn. A dozen states have signed onto the ‘National Popular Vote Interstate Compact’ in an attempt to have more control over the Electoral College. Plus, commentary by Jessica Tarlov. Possible Republican Challenger for 2020? Former Massachusetts Governor Bill Weld is seriously considering running against President Donald Trump as a Republican candidate in 2020. Plus, commentary by Chris Wallace. Rockland County in New York State has declared a state of emergency over a measles outbreak and has banned unvaccinated minors from public places. Plus, commentary by Judge Andrew Napolitano. As Democrats call for the release of the Mueller report in its entirety, the first person indicted in the investigation says that he is focusing on rebuilding his reputation. Plus, commentary by Doug Schoen. Attorney General William Barr shared his summary of Special Counsel Robert Mueller’s report on Sunday. Plus, commentary by Leslie Marshall. Eric Trump joins the 'FOX News Rundown' for a two part, wide-ranging conversation about his father's presidency. Plus, commentary by FOX News Sunday host, Chris Wallace. Eric Trump shares his feelings on the Mueller probe and the 2020 presidential race. Plus, commentary by Deroy Murdock. Democrat presidential hopefuls are selling the idea of expanding of the Supreme Court to more than 9 justices. Plus, commentary by Howard Kurtz. Former DNC chairwoman Donna Brazile has joined the FOX News team promising civility and an open ear to all debates. Plus, commentary by Dr. Robi Ludwig Psy.D. Major escalation of tensions in the Middle East after two rockets were fired at Tel Aviv. Plus, commentary by Chris Wallace. Actresses Lori Laughlin and Felicity Huffman are among those facing charges in the largest college admissions scandal ever prosecuted. Plus, commentary by Leslie Marshall. Speaker of the House Nancy Pelosi is pulling back on talks of impeachment. Plus, commentary by Peggy Grande. The FDA has approved a controversial drug to combat depression. Plus, commentary by Chris Wallace. A second patient has been reportedly cured of HIV leading to some optimism for those searching for an end to the virus. Plus, commentary by Howard Kurtz. President Trump signed an executive order Tuesday that increases efforts to prevent veteran suicide. Plus, commentary by Mark Penn. Democrats on the House Judiciary Committee are trying to expand the investigation into Russian collusion. Plus, commentary by Judge Andrew Napolitano. Senators sought answers from the CEOs of pharmaceutical companies on skyrocketing drug prices. Plus, commentary by Chris Wallace. President Trump’s former personal lawyer Michael Cohen testified on Capitol Hill. Plus, commentary by Deroy Murdock. North Carolina Republican Mark Harris will not be running in the redo election. Plus, commentary by Judge Andrew Napolitano. A second summit between President Donald Trump and North Korean leader Kim Jong Un takes place Wednesday in Vietnam. Plus, commentary by Charlie Kirk.